By using VS Code, you agree to its license and privacy statement. 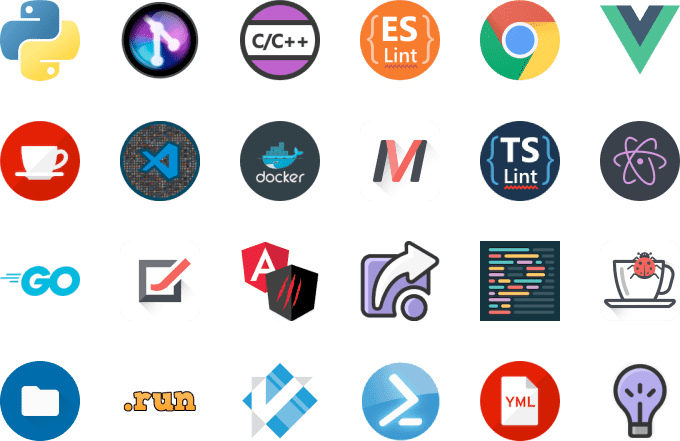 VS Code is my most used and favorite editor. I love being able to customize the editor - changing the layout, the icons, fonts and color scheme is so easy! I was a vim fan, but then discovered VS Code's Vim plugin, which lets me add in my vim keybindings. I can maintain my coding style without having to compromise on speed. Big love to the @code team. I've moved over from emacs (using for 12 years) and I don't regret it one bit! I love @code, the built-in markdown previewer is awesome and the plugin system allows me to use GitLens, which makes my workflow so much easier. Want even more features? Install extensions to add new languages, themes, debuggers, and to connect to additional services. Extensions run in separate processes, ensuring they won't slow down your editor. Learn more about extensions. Get the Insiders build instead. By downloading and using Visual Studio Code, you agree to the license terms and privacy statement. VS Code automatically sends telemetry data and crash dumps to help us improve the product. If you would prefer not to have this data sent please go see How to Disable Crash Reporting to learn how to disable it.